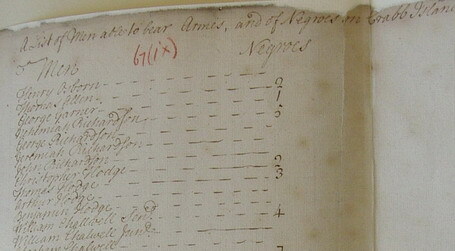 Table 3: Governor Hamilton's 1717 List of the Inhabitants of Anguilla: CO.152/12. The gaps in the column listing the numbers of men indicates those that were not present at the time he took the census. They were among those who emigrated from Anguilla and Tortola to Crab Island. This is a long and very level island, but one mountain in it at the south west end, not high, well timbered and an excellent soil. It is about nine leagues long and in most parts about six or seven miles broad except at the east end where it is not above two or three miles broad for about seven or eight miles. It has a good harbour at the south side about a third down from the east end when once ships are in, but the passage in is very narrow and ships must warp not again except they have the wind far northerly. This island seems to be very fertile and excellent land but then it is attended with this inconveniency that it lies so near to the island of St John de Porto Rico that slaves upon the least disgust may easily escape over in either canoes or bark logs it being just to the eastward of the center of that island, the channel shallow and not above three leagues over. . . There, he also made a list of the white and black inhabitants. This Crab Island census shows that 46 white men and 62 black men immigrated in a desperate attempt to find improved agricultural land. The census contains no columns for women or children (see illus 4). The men did not move to Crab with all their family and possessions, but left them at home in Anguilla until they were sure that it was safe to join the men. Their hope was to make Crab an Anguillian dependency. Several wives and children, as we shall see, later joined the men on Crab Island before the settlement was finally destroyed. Table 4: List of Men able to bear arms at Crab: CO.152/12. These names show that support for the new settlement ran the length of Anguilla. The principal families from each of the three Divisions were all represented. They included the Richardsons, Hodges, Chalvilles, Coakleys, Lakes, Gumbses, Lloyds, Arrindells, Harrigans, Howells, and Downings. In March 1718, Governor Hamilton was at St Kitts when he received word of the Spanish destruction of the settlement at Crab Island. He wrote to the Committee to tell them that just what he dreaded came pass. On 10 February 1718, the Spanish coast guard from Puerto Rico arrived at Crab Island with one man-of-war and six sloops. They were in such force that they went immediately on shore and demanded the surrender of the island. The Anguillians resisted but were overwhelmed. They suffered several men killed. Some, with their wives and children and black and white servants, were taken as prisoners to Puerto Rico. Many others, apparently the majority, were able to save themselves by flight to the eastern side of Crab. They were subsequently rescued by several Leeward Island sloops that luckily came upon them. The Spaniards completely destroyed the fledgling settlement before they carried off their prisoners. The Spanish history books record that 300 soldiers arrived from Puerto Rico. The fort was destroyed and the town burned. The fields of corn, cotton, sugar and tobacco were put to the torch. The cannon were taken to Puerto Rico and installed in the Castillo de San Geronimo. There is no contemporary Anguillian account of the disaster. Abraham Howell was among those taken prisoner, and it would be several months before he could make his escape and find his way back to Anguilla. Fortunately, Governor Hamilton did not intend to leave the captured Anguillians to their fate. In the same dispatch, he explained how he took immediate steps to demand their return. The man-of-war HMS Scarborough from the Barbados station was away in St Kitts at the time on another mission. It was on its way to Puerto Rico with orders from the Admiralty to demand the return of a ship seized by the Spaniards after peace was declared at the end of the previous war. The Governor’s plan was, at the same time, to have the man-of-war demand the return of the settlers from Crab. He sent HMS Scarborough on to Puerto Rico with these instructions. Hamilton raised again the question of offering the remaining Anguillians parcels of land in St Kitts. He also suggested, for the first time, the possibility of acceding to their request that they be granted patents to land in the island of St Croix. He described the advantages of that island over Crab. As usual, he was careful not to overstep his authority and authorise their resettlement in St Croix. Instead, he awaited the Committee’s directions on that matter. He hoped it would be very soon, as the people of Anguilla and Spanish Town were in a starving condition and were only restrained with difficulty from scattering. He pointed out again that if only the poor people of that island were provided for out of the conquered land of St Kitts, they would long since have contributed to the strengthening of the defences of the main islands of his colony. As they were now, dispersed to foreign islands, they were altogether useless and so many men lost. If the Committee was minded to authorise another colony, he preferred St Croix over Crab Island. His moderate and deferential language was designed to placate the Privy Council in London, not to place any great pressure on it. Then as now, pressure on London was the last thing that a colonial Governor would apply, if he valued his career. Whereas by a letter which I received the other day from the Right Honourable the Lords Commissioners for Trade and Plantations bearing date at Whitehall the 28th day of January last I am directed to use my utmost endeavours to hinder the inhabitants of Anguilla as well as of St Christopher and other the islands under my government from depleting themselves and settling in Crab Island by giving them assurances that they will be provided for as soon as ever the French part of St Christopher's is disposed of by public authority which their Lordships are pleased to acquaint me they hope will very soon be done I do therefore in obedience to their Lordships' commands hereby not only make known to all and every the inhabitants of the islands within my government this their Lordships intentions but do assure all and every the poor inhabitants of each of the said islands that my utmost endeavours shall be employed to procure proper parcels of land (in the French part of St Christopher's when it comes to be disposed of) for such of them as shall endeavour to answer this their Lordships good intentions. And I do hereby forbid any of the inhabitants belonging to the islands under my government to go and settle on the aforesaid Crab Island under any pretence whatsoever as they will answer the contrary at their utmost peril, and on the other hand I do hereby signify and make known to all person and persons whatsoever who have gone from the aforesaid islands of Anguilla, St Christopher's or any other of the islands under my government to the aforesaid Crab Island that if they will return to the said islands of Anguilla and St Christopher's or to the islands of Antigua, Nevis or Montserrat they shall have all the encouragement and protection that is in my power to afford or give them, and if any of them can inform me of any waste land belonging to His Majesty in any of the said islands (excepting the French part of St Christopher's) I will immediately give them grants or patents for the same under the great seal of these islands without fee or reward, and to the end it may duly and truly appear what numbers do return to any of the said islands in pursuance of this proclamation I do hereby in His Majesty's name will and require each party so returning to any of the said islands to appear before myself, or in my absence before the Lieutenant Governor or President of the island where he shall so arrive, within three days after his coming to any of the said islands, and there to make known his arrival with the number of whites or blacks that he shall bring with him, of all which he is to take a certificate under the hand and seal of myself, or in my absence from the said Lieutenant Governor or President of the island where he so makes known his arrival, and afterwards is to carry the said certificate to the Secretary of the island where it is granted who is hereby ordered and required to enter the same in his office in a distinct book to be kept for that purpose and then to return it to the party concerned, and all Lieutenant Governors, Presidents and other officers are hereby required to be very diligent in doing and performing without fee or reward what to them belongs or appertains. Given under my Hand and Seal the 13th day of June 1718. In the fourth year of the reign of Our Sovereign Lord George by the Grace of God of Great Britain, France and Ireland, King, Defender of the Faith, etc. This proclamation promised that all those that returned to their homes would be offered all the protection and encouragement in his power, and free grants of waste land. As usual, in his proclamation, he expressed the hope that he would be able to obtain for them parcels of land in the former French part of St Kitts when it was disposed of. This proclamation was a classic case of closing the stable door after the horse bolted. At least, it served the purpose of making it clear to the settlers that those that returned would not be penalized. As such, it influenced subsequent events. In December 1718, Hamilton was at St Kitts. He wrote to the Council with good news. 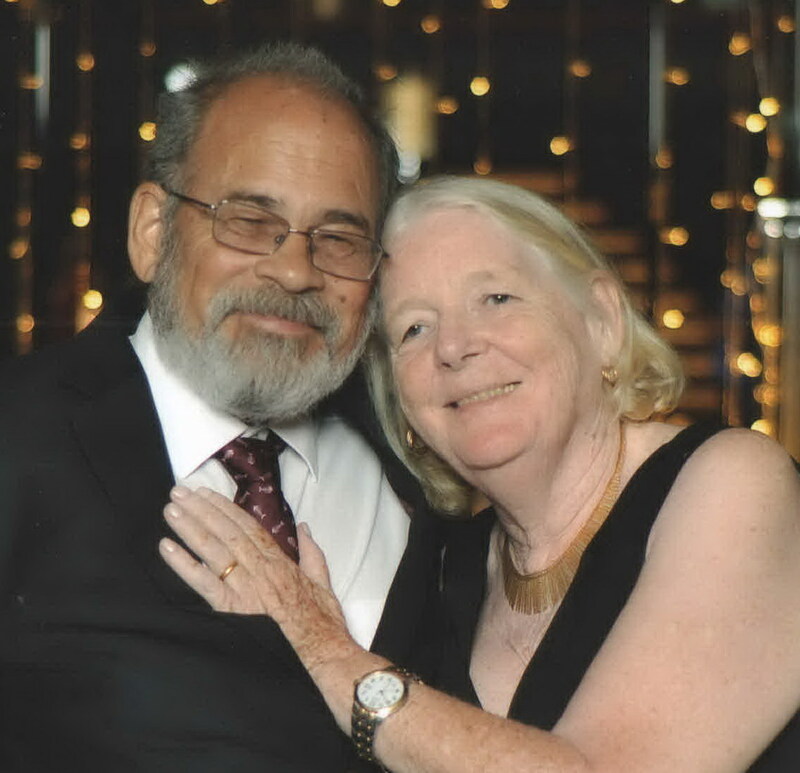 Nine months after the debacle on Crab Island, Abraham Howell arrived in St Kitts. Hamilton learned from him that the prisoners were dragged through all the Spanish ports at Puerto Rico, Hispaniola and Cuba. He and the two or three others that were captured with him were released on the intercession of the Agent of the Royal Asiento Company. A ship of the company took them to Jamaica from where they got passage to St Kitts. While it is unlikely that any of the captured black slaves were released, at least 22 of Howell’s hardy band of white settlers survived to sign the 1727 Anguilla Proclamation on the accession to the throne of King George II. Many of the settlers and slaves on Crab Island appear to have saved themselves by flight when the Spanish attacked. Howell was taken, he claimed, with only two or three other Anguillians. If this means that the majority of the settlers were able to make their escape while their fearless captain remained in the rear-guard, one is justified in speculating that the old captain successfully organised the escape of his people. The likelihood is that on the Spanish attack he mounted a successful rear-guard action before giving himself up. Unfortunately, we do not know the names of the other men who survived this action with him. We only know that seven or eight of them were killed in resisting the Spanish landing. Included among those killed was Bezaliel Howell, the old man’s son. The captured Anguillians organised their own escape from Puerto Rico. The evidence is that they received no assistance either from London or from Hamilton in making their way back to Anguilla via Nevis. As Hamilton wrote five months later, the Governor of Puerto Rico never gave any answer to the demand that was sent with HMS Scarborough. The settlement on Crab Island was destroyed, never to be attempted again. All the Anguillian settlers’ property was confiscated. While most of the settlers on Crab returned to Anguilla, they lost all of their personal belongings. The loss of life and property for the struggling colony in Anguilla was devastating. In trying to peer through the mists of time to that distant past to understand what happened to the Anguillians after the destruction of their settlement on Crab, we turn to the Proclamation of 1727 to glean what little what information we can from it. The signatures interest us (see illus 5). We therefore the Deputy Governor with numbers of the principal planters and inhabitants of this Island do now hereby publish and proclaim that the high and mighty prince George Prince of Wales, is now by the death of our late Sovereign of happy memory become our only lawful and rightful liege lord George the Second by the Grace of God King of Great Britain, France and Ireland, as also the supreme dominion and sovereign right of the islands of Nevis, St Christopher, Montserrat, Antigua, Barbuda, Anguilla and the rest of His late Majesty's Caribbee Islands lying to Leeward from Guadeloupe to the island of St John de Porto Rico and all other His late Majesty's dominions in America To whom we do acknowledge all faith and constant obedience with all hearty and humble affection, beseeching God by whom Kings reign and Queens do reign, to bless the Royal King George the Second with long and happy years to reign over us. Given at the Valley Division in this our Island of Anguilla the seventh day of October in the year of Our Lord God one thousand seven hundred and twenty seven. Governor Mathew reported to the Board of Trade in 1727 that King George II was proclaimed by the people of Anguilla on 7 October at The Valley. The planters came together to join in the signing of the Proclamation. Mathew reported that the Anguillians proclaimed the new king in the most solemn, decent and cheerful manner that they were capable of. He glossed over what really happened in an effort to reassure the Committee that his colony was working smoothly. The following year, he gave a more truthful version about what happened at the signing. The event, he now wrote, was characterized by the misbehaviour of some of the planters. He does not explain what he meant by ‘misbehaviour’. Clearly, there were problems in Anguilla over the signing of this oath of loyalty. He writes that the signing was not unanimous. There were disturbances and instances of rowdy behaviour at the time. We can be certain that not all the planters joined in the proclamation as there are only 76 signatures to it. Abraham Howell does sign it. His name appears as Abraham Howell Sr. It was not that any of the Anguillians were loyal to the Stuarts. They had no interest in supporting the Roman Catholic Stuart dynasty in its struggle to reclaim the throne of England. They were not concerned about the Stuart or any other dynasty. No Governor-in-Chief showed any interest in the condition and affairs of this the third generation of Anguillians. Why should they on their part care about the coronation of King George II? With old deputy governor Leonard now almost permanently resident in Antigua, such little form of organized government as there was on Anguilla broke down. One can imagine the outrage and indignation that was felt by the sturdy, self-reliant islanders when they were called together, not for some act of government relevant to their condition, but to join in what for them was a completely meaningless and irrelevant ritual of signing a proclamation in honour of an unknown, distant and uncaring King. Deputy governor Leonard was able to persuade only 75 of them to sign the proclamation. It is one of the characteristics of the Anguillians that they did not then, and still do not now, rely on expressions of official concern. They have always sought their own solutions to national problems. There is no record of their ever receiving compensation for their destroyed property. There is no evidence even of the authorities demanding such compensation. The settlement on Crab was illegal, so that was not to be expected. The destruction by the Spaniards of the settlement on Crab also relieved the pressure on London from Denmark. From Whitehall’s point of view, the violence of the Spanish action was a neat solution to the diplomatic crisis. Their preference was to let the Danes struggle with Spain for ownership of Crab Island. Crab Island was to remain Spanish in spite of the competing claims of the Anguillians and the Danes of St Thomas and St John. It was, eventually, accepted by both the Danes and the British that Vieques, to give the island its proper modern name, was a dependency of Puerto Rico, and not politically a part of the Virgin Islands. It remains attached to Puerto Rico to this day. 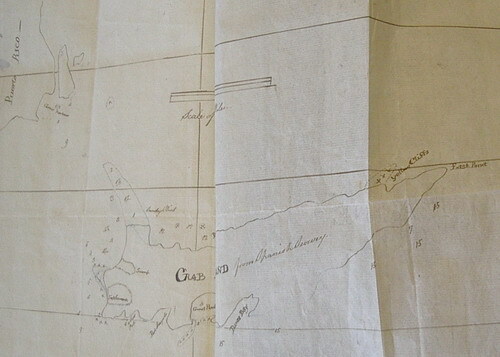 The earliest English map located in the UK National Archives depicting Crab Island is a very faded one of 1818 drawn for Governor Thomas Probyn and submitted by him in a dispatch to the Earl of Bathurst (see illus 6). This dispatch related to an attempt by a group of Kittitians to revive the British claim to Vieques. The Anguillians never again showed any interest in settling Vieques. Abraham Howell fades from the scene after this venture. If he was about twenty-five years of age at the time of his election in 1666 to be deputy governor of Anguilla, he was at least eighty six years of age at the time of the signing of the 1727 Proclamation, a very advanced age for that time. At the time of the 1717 census, the Howell and Leonard families were at the peak of their social and economic importance in Anguilla. There are five Leonard men recorded as being then on Anguilla, Captain George Leonard and his four sons, Edward Leonard, another George Leonard, Phillip Leonard and Henry Leonard. They are all recorded as being present on Anguilla because they did not go on the adventure to Crab Island. The Crab Island Census shows that Abraham Howell was present with five slaves. He left behind in Anguilla his wife, a child, and ten slaves. His sons, Bezaliel Howell and Thomas Howell, were with him on Crab Island with four and two slaves respectively. Left behind in Anguilla were William Howell, another Thomas Howell, and Jacob Howell. Within a few years the two cotton growing families ceased to dominate the little island. The sugar planter families of the Gumbses and Richardsons came to dominate social life. Crab Island was not to affect Anguillians for nearly another 300 years, and then only in a very tangential way. In the late 1970’s the US navy were using a part of Vieques as a bombing range. Forced by pressure from local fishermen, environmentalists and Puerto Rican nationalists to consider vacating their naval facility on Vieques, they looked around for an alternative site. Dog Island, a small uninhabited cay several miles off the north coast of and a part of Anguillian territory, was found appealing by certain US navy consultants. They wrote that they thought that its situation was ideal for use as a practice range. The pros and cons of such a development were hotly debated on Anguilla. The sound of low-flying jets approaching on their bombing run and the detonating of high explosives just a few miles of Anguilla’s northern tourist beaches would not be conducive to the happiness and welfare of visitors or residents. It was several years before the British government turned down the proposal. And so we end the story of Captain Abraham Howell’s efforts to settle the Anguillians on Crab Island. He may have failed in his attempt to find land for the dispossessed settlers of Anguilla and the Leewards who flocked to his standard, but the Anguillians still had outlets open to them. As Governor Hamilton warned as early as July of 1719, the survivors of Crab Island were scattered among the various islands of the colony. They and others were discontented. For want of land in the better islands, the Anguillians were obliged to consider moving to the smaller Virgin Islands. As we shall see, they were to have more luck on St Croix and Tortola, and others of the Virgin Islands, than on Crab. CO.152/12/2: Hamilton to the Committee on 6 January 1718, enclosure 4: List of the Inhabitants of Anguilla taken on 22 November 1717. A league was a now obsolete unit of measurement of 3 miles. CO.152/12/2, No 67: Hamilton to the Committee on 6 January 1718, enclosure 9: List of the Inhabitants of Crab Island. CO.152/12/3, No 87: Hamilton to the Committee on 15 March 1718. CO.152/12/3, No 118: Hamilton to the Committee on 10 September 1718, enclosure: Proclamation of 13 June 1718. CO.152/12.3, No 136: Hamilton to the Committee on 10 December 1718. CO.152/12.4, No 152: Hamilton to the Committee in May 1719. CO.152/16: Mathew to the Committee on 12 October 1727: The 1727 Anguilla Proclamation of King George II. CO.152/16, folio 56: Mathew to the Committee on 12 October 1727. CO.152/16 folio 251: Mathew to the Committee on 20 January 1728. CO.239/4, No 68: Probyn to Bathurst on 16 March 1818.